I’ve had the joy of launching a new podcast with my friend Josh Reich. Josh is a pastor in Arizona, an author, a blogger, and an excellent leader. 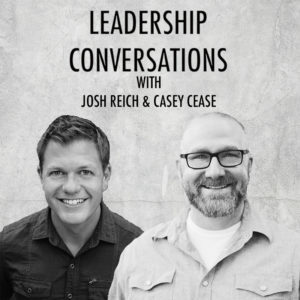 We launched this podcast to have conversations that leaders want to have so that they can excel in leadership. You can listen to it on iTunes and Google Play as well as our website, www.leaderconvos.com.